My favourite source of school holiday fun is none other than Cheekiemonkies blog. So many of my inspiration come from his information sharing. When it comes to what to do with the kids during school holidays, I will start planning as early as during exams period. I want to ensure my kids are not deprived of playdates or outdoor activities even though I am working full-time. So, I will take off from work and bring them to interesting places to play. Some of my friends around me also ask me for ideas and the funny thing is: it is relatively easy to rattle off a list to them which some we have tried and loved. But when it comes to my own planning, I have much consideration to suit all my 3 kids with their different age groups. The solution is really to separate one-to-one date with each of them or combination of 2 kids while one kid is with the daddy or find a place that suit all 3 of them. Since I am searching for ideas, I will also share them on this post for my future reference and of course I hope you will find them useful too. I will be updating this list as and when there are new places that come to mind. If you have more interesting places to recommend, I welcome you to leave your comments and I shall add on to the list. I have categorized into Indoor Places and Activities, Outdoor Places and Activities and Home Activities. I try to list most of the activities to be valid throughout the whole year round and not just customized to holiday periods. For those that are happening only for a short period of time, I will be updating this list regularly. If you have Safra card, then you must watch a movie using its 1 for 1 promotion on weekends! Promotion ends 26 June 2016. Do you know that Groupon or Deals.com have discounts for Playeum entry from time to time? Do call up and ensure the bowling lanes have kids bumpers, and most do! 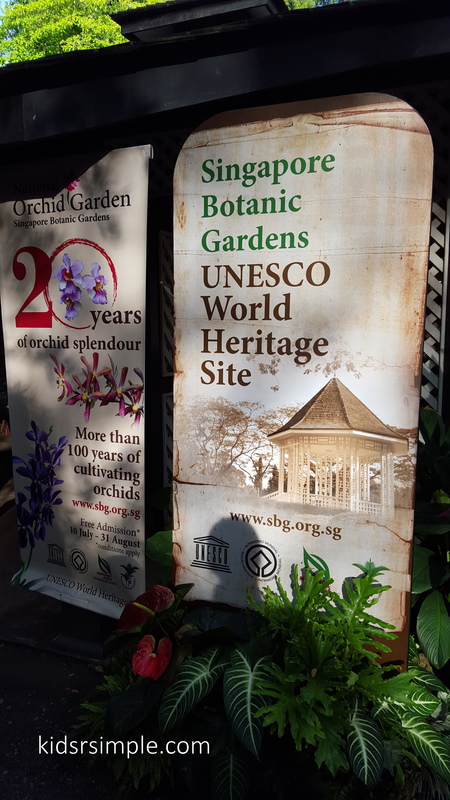 Our Singapore very own Botanic Gardens is declared as a UNESCO World Heritage Site! This good news was announced on 4 July 2015 and totally came just in time as a special memorable gift to Singapore’s Jubilee Celebration for her 50th birthday! Singapore, this little red dot on the world map, which could hardly be seen, has come so far and there is no other tropical botanic garden on the Unesco Heritage list, making this the first! I can’t contain my joy and pride 🙂 I love you Singapore! My gal (I am going to call her Missy 10) and my boy (Master 8) ‘s school principal once called upon all parents to bring the children outdoors regularly. In fact, with the Ministry of Education initiative of “Leave no child inside”, I am going to aim to bring the children to nature places every weekend. With outdoor walks and play, we can bring the family closer, feel the endorphins surge = happy, give the children and also the adult some “childhood” plus being outdoors can keep myopia in check! So, last weekend, we decided to visit Sungei Buloh for the very first time. We invited the grandparents along. No doubt with the grandparents always come lots of joy because they always share lots of their childhood experience and knowledge with the grandchildren who greatly enjoy their company. 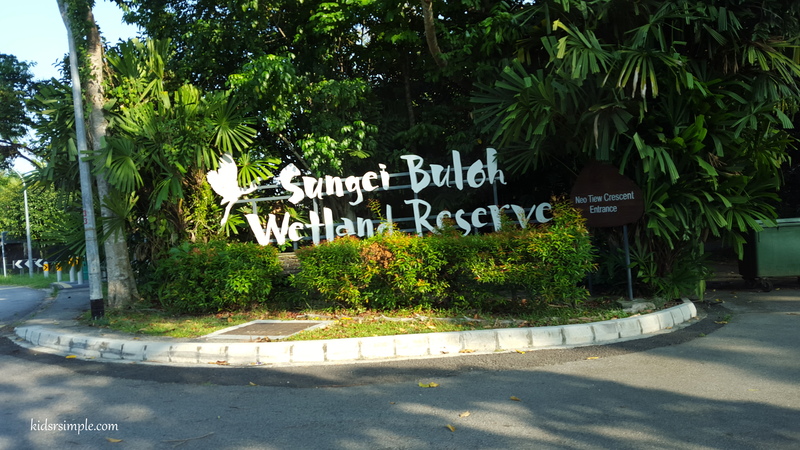 Sungei Buloh has 2 entrances and 2 main carparks, about 1 km away from each other. June holidays are here! One of our most anticipated activities for our kids for this holidays is the annually held Children’s Seasons. This year, the theme is still Masak Masak, built on childhood games, but with totally different games to play. To understand and appreciate how the Children’s Seasons are put together, you need to know the artists’ introduction of their installations. This year, there are 10 installations by six local and four international artists to feature familiar childhood games and interactive exhibits. Remember to read the introduction near each installation. Spoiler-alert! I will share some fun exhibits and games that my kids enjoy. Oh, just a note that Masak Masak is suitable for kids 4-7yo although I would think my 3 yo-to-be toddler did enjoy himself and my 10 yo gal is beginning to appreciate the art too. 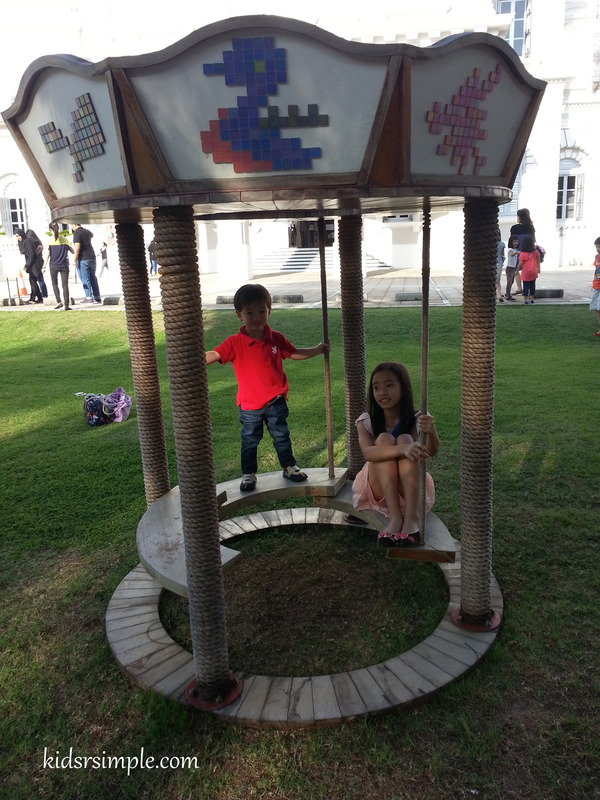 This oldie round swing greeted us at the big lawn outside National Museum.